I have been watching a lot of Christmas films over the past few weeks, and noticed a recurring theme. A selection of them are reaching important milestones this year, anniversaries that are worth recognizing and celebrating. Merry Christmas, everyone! Prep & Landing (December 8th, 2009) Has it really been five years since Disney first aired this delightful special about loveable elves Lanny (Derek Richardson) and Wayne (Dave Foley)? Either way, I always look forward to revisiting the richly animated and cleverly written world of this instant classic, which packs an impressive amount of detail into a wildly entertaining 22 minutes. The Polar Express (November 10th, 2004) When a young boy doubting his belief in Santa Claus boards a magical train heading to the North Pole on Christmas Eve, we are taken on a dreamlike and unforgettable journey. 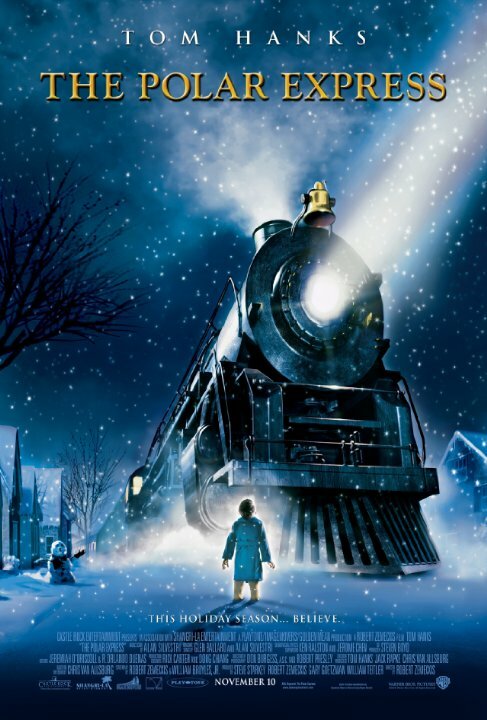 Directed by Robert Zemeckis, and brought to life through groundbreaking performance capture technology that allowed Tom Hanks to inhabit several roles, The Polar Express is not only one of my favourite Christmas movies, but also among the most underrated films of all time. The darkly beautiful visuals take us on a dazzling 3D thrill ride, but there is also something profound and even spiritual beneath the surface of the story, with moving themes about faith and belief that have only become more poignant for me over the years. After ten years, The Polar Express is still a haunting and visionary triumph, and one of those great movies that grows even richer with every viewing. Five years later, Robert Zemeckis employed the same motion capture technology for Disney’s A Christmas Carol (November 6th, 2009), a visually stunning and mostly faithful adaptation of the Charles Dickens classic starring Jim Carrey in several roles, that’s also worth revisiting. The Santa Clause (November 11th, 1994) This Disney classic about divorced father Scott Calvin (Tim Allen), who becomes Santa Claus at the urging of his young son Charlie (Eric Lloyd) after the big guy accidentally falls off their roof, is a childhood favourite of mine. And when I watched The Santa Clause again recently, I was delighted to rediscover just how much fun the film really is, a charming family comedy that still holds up nicely after twenty years. Exactly ten years later, Tim Allen starred alongside Jamie Lee Curtis in Christmas With the Kranks (November 24th, 2004), an often derided but thoroughly enjoyable feel good comedy that remains a guilty pleasure of mine. These two would also make a fine double bill. The Ref (March 9th, 1994) When cat burglar Gus (Denis Leary) takes rich suburbanites Lloyd (Kevin Spacey) and Caroline (Judy Davis) hostage on Christmas Eve, he ends up stuck playing referee to the bickering married couple and their visiting family. With a brilliant script co-written by Richard Lagravanese, The Ref comes together like a tightly performed stage play, offering big laughs born out of the complexly developed and ultimately hilarious family dynamics. This is an absolute gem that deserves to find a bigger audience twenty years later. Christmas Vacation (December 1st, 1989) It’s hard to believe that this ridiculously funny sequel to the 1983 summertime classic Vacation is already 25 years old. This time the bumbling Clark Griswold (Chevy Chase) is just trying to have a good old fashioned family Christmas, but everything is inevitably going wrong. And then Cousin Eddie (Randy Quaid) shows up. With big laughs, and a touch of classic John Hughes heart, Christmas Vacation remains a highly entertaining dysfunctional family comedy. Gremlins (June 8th, 1984) Released on the same weekend as the great Ghostbusters, Joe Dante’s Gremlins is a special film that still feels just as fresh after thirty years. It’s also an offbeat Christmas classic. When Billy Peltzer (Zach Galligan) is gifted with an adorable little Mogwai named Gizmo, he ends up breaking the three fundamental rules of caring for his new pet, and accidentally unleashes a terrifying horde of mischievous monsters who wreak havoc on their picturesque town. Rudolph, the Red-Nosed Reindeer (December 6th, 1964) Clocking in at just under an hour, who doesn’t love this stop-motion charmer about a group of loveable misfits discovering their place in the world? The most iconic of the many Arthur Rankin and Jules Bass holiday specials, Rudolph, the Red-Nosed Reindeer is a heartwarming classic, with excellent songs and any number of memorable moments. This is a golden anniversary worth celebrating. White Christmas (October 14th, 1954) Receiving a sparkly new Blu-ray edition back in October, this is a classic that still lends itself well to repeated afternoon viewings around the holidays, even as it passes the sixty year milestone. Featuring a selection of Irving Berlin’s most beloved songs, as well as entertaining performances from song and dance men Bing Crosby and Danny Kaye, matched with the “sister act” of Rosemary Clooney and Vera Ellen, White Christmas remains a delightfully corny and very enjoyable musical.